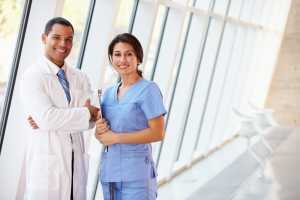 We are a recognized leader in the addiction healthcare industry. Founded in 1994 by Glenn Swanson CADC II, MBA, our core philosophies are compassion, integrity and honesty. We work with specialists who understand both the physicality and the psychology of addiction, as well as the struggles clients will face when overcoming their own. Our staff runs one-on-one sessions as well as group discussions that facilitate conversation and personal growth. Many of the people who work on our behalf have had their own experiences with addiction, and allow this to guide them as they treat others. There’s much more to addiction than what it does to your body – the brain can be a casualty too. There are many mental health issues wrapped up in an individual’s addiction, often exacerbated by the side effects and symptoms of withdrawal. We work with doctors of psychiatry, who can provide one-to-one analysis, as well as mental health support staff, who supervise our clients 24/7. Some withdrawal symptoms can last for weeks at a time and can include profound depression, including suicidal thoughts. The personal safety of our clients is paramount, so we have more than enough mental health staff to support this. Addiction can deprive the body of so much, so we can provide our clients with fitness classes, personal trainers and yoga instructors run by people who have a real passion for health and wellbeing. We also have an onsite nutritionist and a chef who will consult with each client individually, to make sure their meals are packed with nutrients. This is not a definitive list, and there are many unique skills and passions which make up our team. What unites them is a focus on addiction recovery and helping our clients make long-lasting, healthy changes to their lives. Faith can be a massive influence in people’s lives, especially when they’re searching for greater meaning and a sense of wellness they have missed out on previously. Strength often comes from within, but feeling watched over and cared for by a higher power can be just as important.